actually manages the sales transaction. There are many benefits of using a point of sale system over a traditional cash register, since a computer is able to capture, store, share, and report data (such as sales, payment, or customer information). A POS system saves time and duplication of work, and increases efficiency and accuracy in inventory, reporting, ordering, and providing excellent customer service. The main industries where you would find POS systems being used are retail, service and hospitality (restaurants, hotels, hair & beauty). 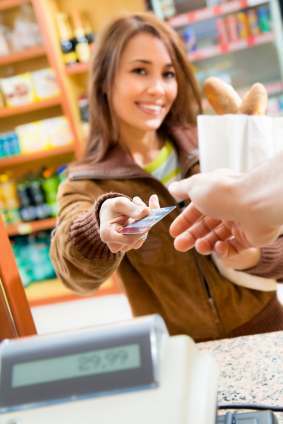 There are many ways to evaluate a point of sale system. Speed, cost, functionality, and ease of use are a few. We consider the key requirement to be reliability, as a single lost transaction is unacceptable. It is helpful to distinguish the forms that POS has gone through over the decades, from traditional point of sale developed in the 20th century, to the introduction of web-based and mobile point of sale in the 21st century. A computer (the main component of a traditional POS system). Peripherals. This term refers to hardware devices that you add to the computer system. Some peripherals help you use the computer itself (such as a mouse or keyboard). General computer software, primarily, an Operating System (OS), such as Windows, Mac, or Linux, which makes it possible for people to use and interact with the computer. POS software, helps you to manage your business and perform sales transactions. It automatically collects and stores data about customers, sales, and inventory, and can use that data to create reports for taxes, sales analysis, etc. The software is the most critical part of the POS system. *It is important to know that when putting together a Point of Sale system, the various hardware and software components must be compatible, or able to communicate with each other.